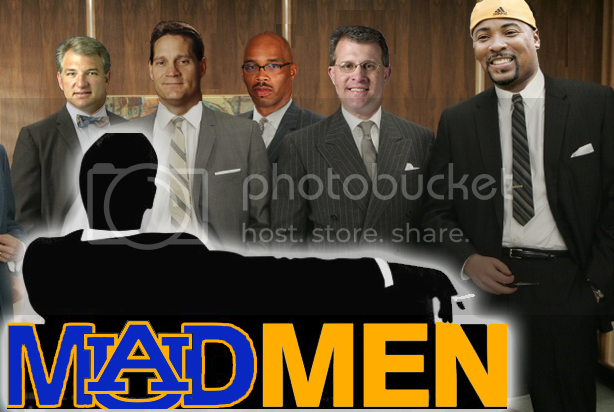 Like the Tiger Prowl, the BCW seems like the latest tool or trick of the trade the Auburn coaching staff is using in the recruiting battle. Essentially, One Big weekend, Some of the Nations top recruits, all enjoying what Auburn has to offer. ... Jake Holland of Pelham (already committed to Auburn), Jawara White of Troy, Nigel Terrell of Pelham, Victor Beasley of Adairsville, Ga., LaDarius Owens of Bessemer and Jessel Curry of Buford, Ga. I'm sure there are other guys here, or guys who might have thought to come but never showed up. We won't have anything official (or unofficially) until Monday. That's another reason why Gene Chizik wasn't on any of the "Tiger Prowls" throughout the state. So what can you do during the evaluation period? An evaluation period is that period of time when it is permissible for authorized athletics department staff members to be involved in off-campus activities designed to assess the academic qualifications and playing ability of prospective student-athletes. No in-person, off-campus recruiting contacts shall be made with the prospective student-athlete during an evaluation period. So basically, the athlete can come to the school, the school can't come to the athlete. You can use this time to scout the potential player, and that's about it. 13.5.3 Transportation on Unofficial Visit. During any unofficial recruiting visit, the institution may provide the prospective student-athlete with transportation to view practice and competition sites in the prospective student-athlete’s sport and other institutional facilities and to attend a home athletics contest at any local facility (see Bylaws 13.02.5.1 and 13.7.3). An institutional staff member must accompany the prospective student-athlete during such a trip. Payment of any other transportation expenses, shall be considered a violation. 13.7.1 - A PSA can make any number of un-official visits. They can make these before their senior year begins. 13.7.2.7 - Any type of benefit or payment is considered "illegal" when on an unofficial visit. However, if said benefit was less than $100 then the PSA can reimburse the school and not face any penalties. The PSA becomes ineligible until he pays his restitution. 2) The Visit has to take place on Campus. Since this isn't a "Contact Period", Having any activity or visit off-campus becomes a violation. That one's a little easier to explain than reason 1. So again, it's all legal. It's all allowable. As long as everything stays "unofficial". At any rate, I'm sure Auburn's compliance department is working like crazy this weekend to make sure everything is above board. If the "Tiger Prowl" was supposed to jumpstart in-state interest and gain steam on Alabama when it comes to instate guys, why were some of the top players in the state not at the BCW? According to some, it's all stinks of the Red Elephant Club. I personally think that's all Black Helicopters and Big Foot, but who knows. Damn you Joan Holloway. Why must I have to wait so long for Season 3.